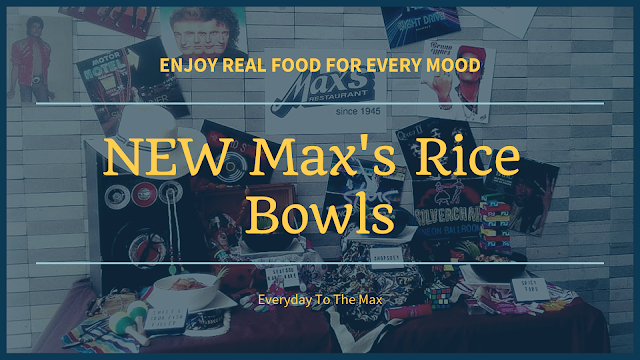 I love to go shopping to the mall, spending hours moving back and forth and if you get tired the mall wrapped up in one location wherein you have easy access of the food. 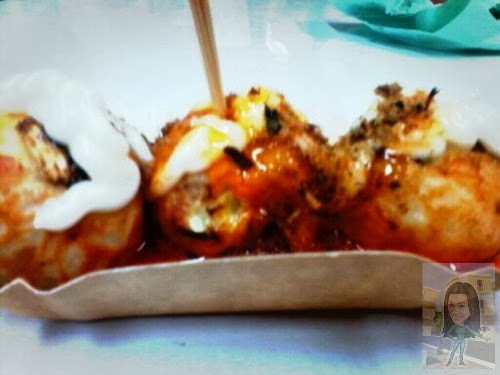 Just near to their grocery market you can see the different food stall and one of these is the TAKOYAKI. 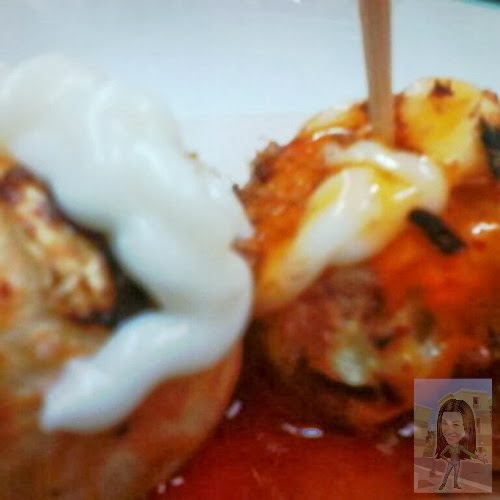 Takoyaki are known as fried or baked octopus (TAKO) balls. A popular Japanese dumpling made of batter, diced, or whole baby octopus, pickled with ginger and green onion, topped with okonomiyaki sauce, tempura scraps, green laver (seaweed),mayonnaise and fish shavings. 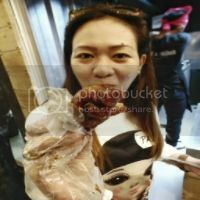 Their Takoyaki is the best thing I've ever tasted! The mushiness and the saucing are superb. Flavor and texture are excellent. 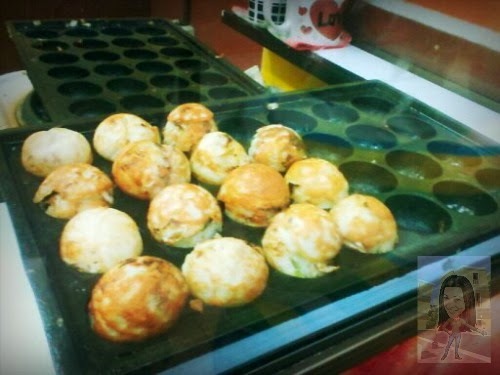 You can feel the chunk of the fried octopus in each ball, so soft and chewy in the inside. 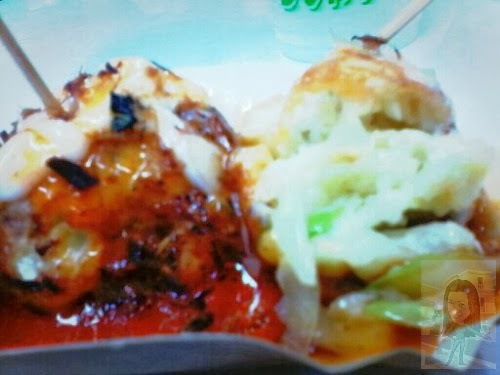 I love the shaved dry fish topped in their Takoyaki. Hands down! Cheap, fast and delicious. 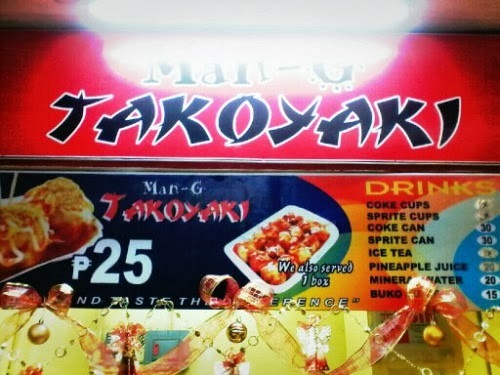 Three(3)takoyaki for PHp25 only. 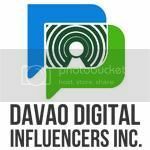 The place is modest, there are scads of people lining up, ordering and wait in line. High tables are just in the corner where chairs are not available, you need to stand up while eating. 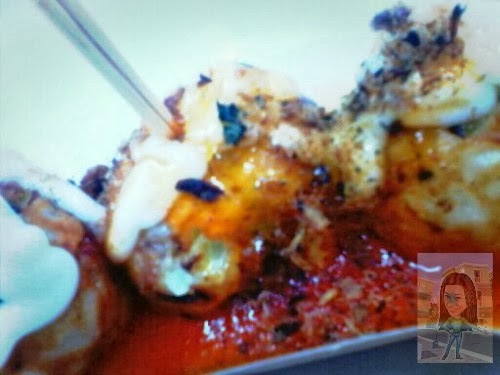 Takoyaki was served warm and very delicious. Be very careful do not eat them when they are handed to you in second because it will burn your mouth. Give a few minutes to cool down and set so it had a better texture. 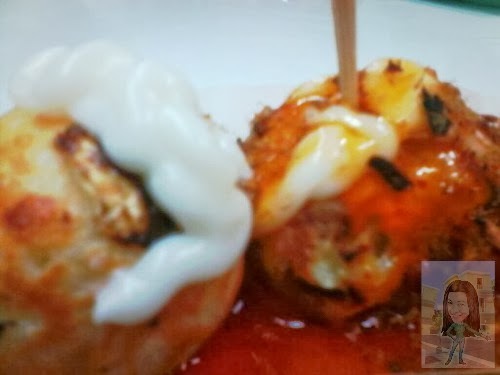 So if you are tired while doing your shopping inside NCCC Uyanguren better went straight to the Takoyaki for an in and out experience for a burst to goodness mouth watering tasty octopus balls. I would definitely come back whenever I'm around the area. I love Takoyaki but I like Samurai's. This looks delicious, though.